You can either do a crash course on web design and create your own website or leave it to the experts by hiring web designers. To make sure that you’re looking at a web design company with a good reputation, you can look for some warning signs that will help you avoid choosing the bad ones. When you seek service of a web designer, just like any employee-employer relationship, they should also provide their terms both agreed by both parties–between you and the website design company. This can either be in the form of a written contract or even an e-mail correspondence. You might be thinking that it might not be essential, but take note that you’re shelling out money for creating your website. Going through this process will both benefit parties. You, as an employer, need to fulfill the duties to pay for their service. The web design company, on the other hand, should comply and deliver output. The service fee of the web designer (either fixed after the project is finished or hourly rate). How much will the finished website cost. Extend on other services they can provide after the website has been launched. Failure to meet the terms or any clause in your agreement may be grounds for breach of contract. A reputable web design company screens their web designers before hiring them. Also, they take pride and emphasize the background and achievements of their team members. Usually, when you search for a web design company, their website will include all the members of the team who works under them. This is to provide the transparency that you’re sure the people who’ll create your website are specialists and do have proper credentials in web design. The thing you want to avoid here is web designers who just brand themselves as web designers, but they have questionable expertise in the field. Make sure that you’re entrusting your website to the professionals. You might be their first client, and your website might end up to be a mock-up and be a disaster. The websites they previously created are terrible. As a client, you want to have an idea of how well your website will look like once it’s finished. The portfolio of the website design company is a reflection of how good they are in what they do. A good web design company should also take an initiative that prospective clients can easily access their portfolio. As the saying goes, let the work speak for itself. A web design company can either be paid hourly or once the project has been completed before you avail their service, research on the typical range of payments for a website project design. You can either search online or ask your friends that availed a similar service for their business or work. If you encountered a web design company that offers a very cheap service fee, you might want to look for other alternative companies first before deciding to go for them. You can compare at least three companies first. You don’t want to be risking the quality of your website due to its low price. 5. They don’t communicate with you well. A good website designer should be able to create and deliver the kind of website envisioned by his clients. The key here is proper communication between you and your designer. As a client, you have to discuss what you want and what you need in your website. If it’s a blog, maybe you’ll be requiring a few pages in the site. Or if you’re a business, you’ll need a way to incorporate a shopping cart on your website. Maybe you also need an update on an inventory of the products on your site to notify you. Telling the web designer these kinds of things will help identify the strategy and approach he will use in creating your website. Like a good website designer, they should explain to you how they will do it and simplify the terms before they execute the actual web design process. Another thing is they should be able to show you the plan first before they design your website. They also need to update you on the progress on the creative process as well as a prototype website to let you know that everything is right on track. 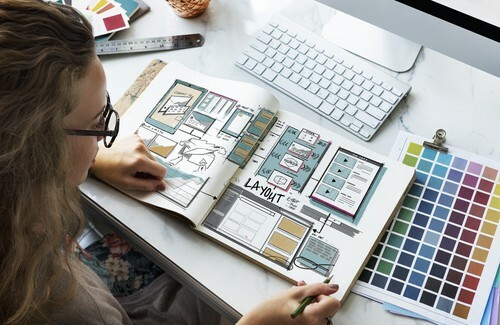 A reputable website design company should also provide their clients with a trial launch or website test first before they fully upload the entire website online. This is important so that they know if there are any errors in the coding process. It’ll be helpful for the designers to identify what needs to be added or removed on the website or even potential problems that the website will be experiencing once it’s fully uploaded online. A credible website design company should take into consideration the functionality and aesthetics of a website. They should be well known of what users want to see in a website. Look for these warning signs to prevent you from landing a deal with a bad web design company. You might want to research reputable companies. Most clients provide honest reviews. Better yet, ask for referrals from your friends and colleagues.